The pay received by the BBC's biggest stars is to be revealed in the corporation's annual report later. It is the first time this information will be made public. The review, to be published at 11:00 BST, will list the 96 stars who earn more than £150,000 a year. Altogether, their earnings total almost £30m. Only one third of the names on the list are women. BBC director general Lord Hall said it highlighted a need to "go further and faster" on gender issues. However, he stressed the corporation was "pushing faster than any other major broadcaster". 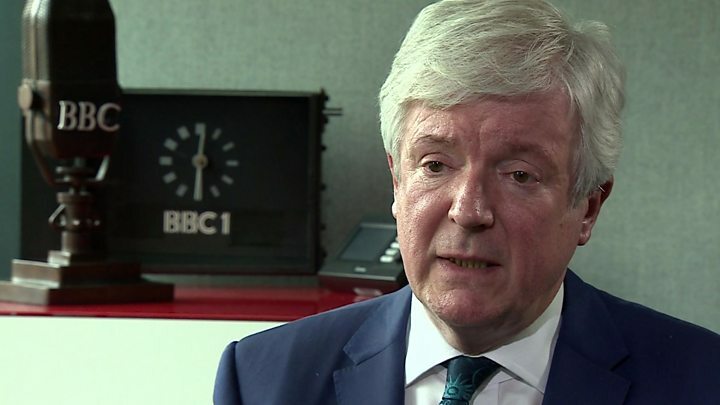 Lord Hall said he wanted to close the gender pay gap and have equality on screen and radio by 2020, saying that over the last three years nearly two-thirds of new people and those promoted on TV and radio were women. "Is this progress enough? It's absolutely not," he said. The BBC said that its overall talent bill has been reduced by more than £4m over the last financial year, to £194m. "I completely understand that to lots and lots of people these are very large sums but we are a global broadcaster, in a very competitive market," Lord Hall told BBC Radio 4's Today programme. "And we have to be competitive but not foolishly. "No-one would want us to be paying sums where it's not at a discount to the market. People expect us to have great broadcasters, great presenters, great stars but pay them less than they would get in the market." He said he was "satisfied" that every one of the 96 top earners were worth the money. The BBC's annual report looks back over the previous year's performance and publishes details about the corporation's finances and spending. It will also look at TV and radio viewing figures, and online engagement. It may also examine the BBC's competition, such as Netflix. Culture Secretary Karen Bradley said publishing the salaries of stars earning more than £150,000 would bring the BBC "in line with the civil service" on transparency. She told the Commons last September that it would help ensure the BBC "produces value for money for the licence fee" and that more transparency could lead to savings that could be "invested in even more great programmes". Lord Hall said the publication of top salaries, which he had fought, was a "bad idea" because it could tempt other broadcasters with deep pockets to poach stars creating an inflationary effect on pay. He also urged caution when comparing rates paid to different individuals, saying their responsibilities may vary widely even if their on-air roles appeared similar. ITV's programmes chief Kevin Lygo called the proposal a "mean-spirited, nosey way of looking at things" during last year's Edinburgh Television Festival. The corporation already publishes data on how much it spends on talent including information about how many people earn above certain pay bands without naming them. Former Conservative culture secretary John Whittingdale, who proposed the BBC should go further by revealing stars' pay, told the Today programme: "If somebody is earning the equivalent of 1,000 households' licence fees put together, going to one single person, then the licence fee payer deserves to know." Who might be among the talent listed? Presenters such as Graham Norton, Claudia Winkleman, Gary Lineker and Chris Evans are expected to be there. Leading journalists Fiona Bruce, Andrew Marr, John Humphrys and political editor Laura Kuenssberg are also expected to be included. The revelations are required under the BBC's new Royal Charter. On the list, the stars' names will appear within £50,000 pay bands. The sums will only include pay for work carried out directly for the BBC, not other production companies. For example, Norton's will cover pay for his Radio 2 radio show and Eurovision, but not his chatshow which is produced by independent company, So Television. According to last year's annual report, 109 TV and radio presenters earned more than £150,000 in the financial year 2015-16. But they were not named at the time. From next year, any stars employed by the newly-formed BBC Studios, which produces Antiques Roadshow and Doctor Who, will not be included on the list. This is because it will become a commercial operation and will operate and be treated in the same way as an independent production company. Have the stars spoken out about the move? Match of the Day presenter Gary Lineker tweeted: "Happy BBC salary day. I blame my agent and the other TV channels that pay more. Now where did I put my tin helmet?" In a Twitter exchange, he admitted that he has turned down a bigger salary from a privately-owned broadcaster in the past. Asked why, he replied: "Because I love and value my job and BBC Sport." Andrew Marr said it's "uncomfortable for all of us". "I'm well paid but I'm much less overpaid, perhaps, than people working for rival organisations who won't go through this process," he said, according to reported the Telegraph last month. But Strictly Come Dancing presenter Claudia Winkleman said last year: "I'm all for it. We get paid an awful lot of money and it's a marketplace. It's bonkers. "I love working for the BBC. I know that commercial stations pay a whole lot more - double, three times, four times. But I totally understand why people would want to know." What else might come out of the report? We should also find out how the BBC's television and radio channels and stations have performed over the last year. And it's also a chance to discover more about the BBC's audiences - who is tuning in to TV, radio and the websites, for instance. (The BBC is struggling to attract younger audiences, as it faces competition from YouTube, social media and gaming). Trust issues in news and the rise of competition from the likes of Netflix (which released impressive growth numbers this week) and Amazon Prime could also feature.